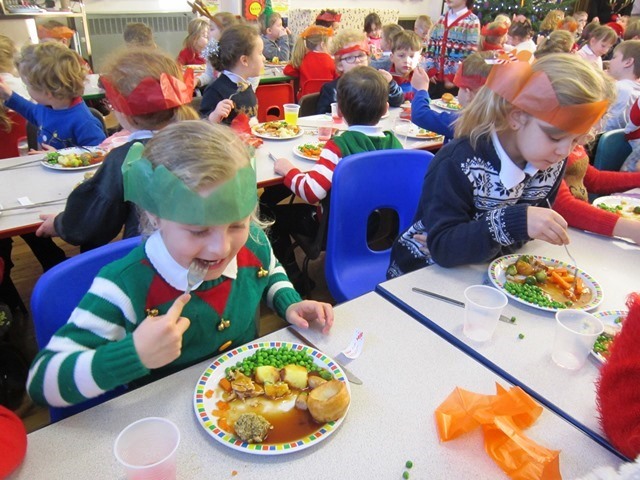 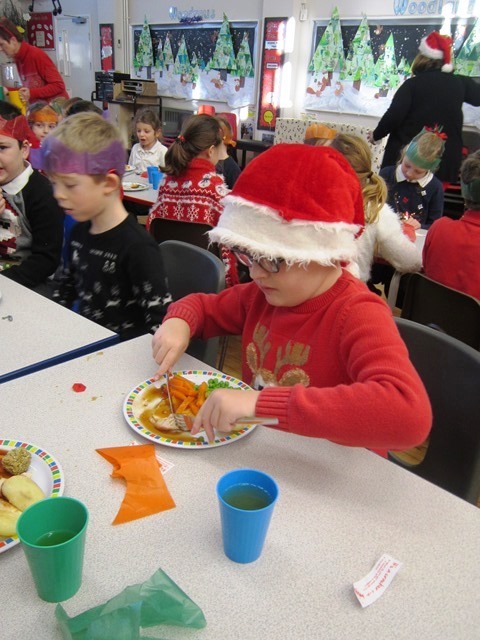 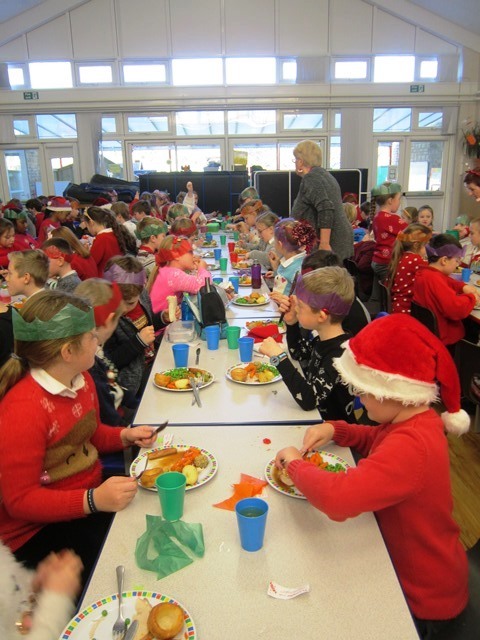 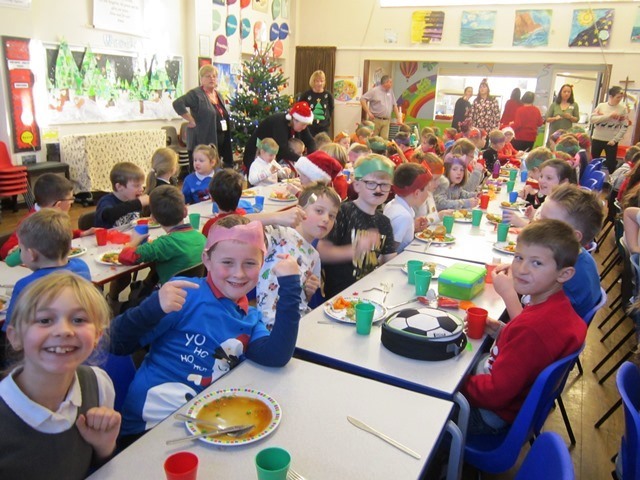 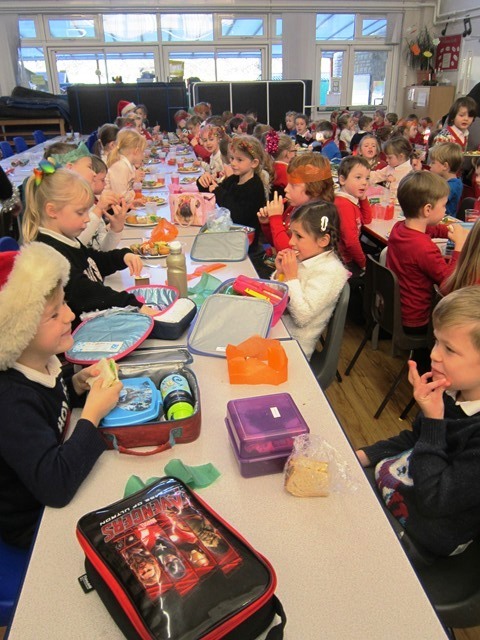 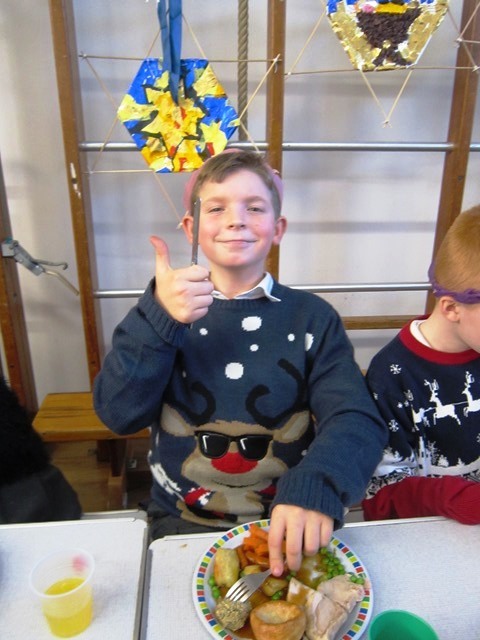 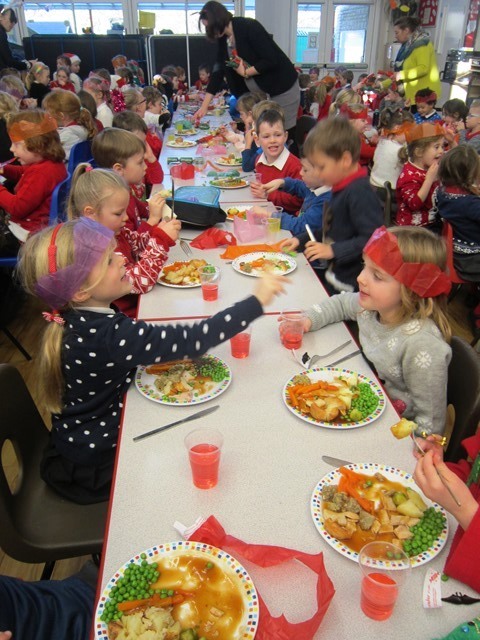 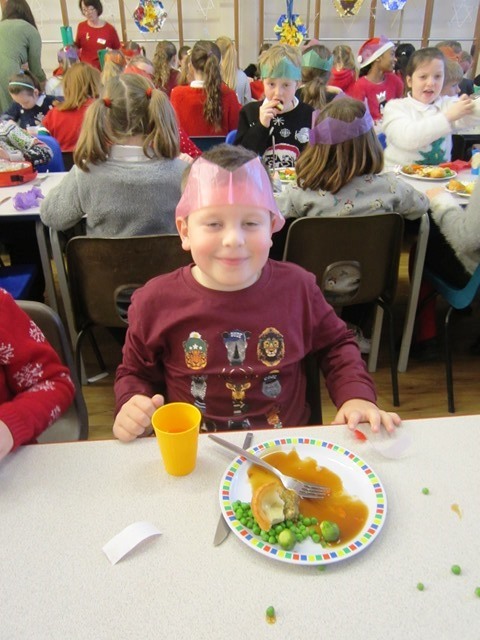 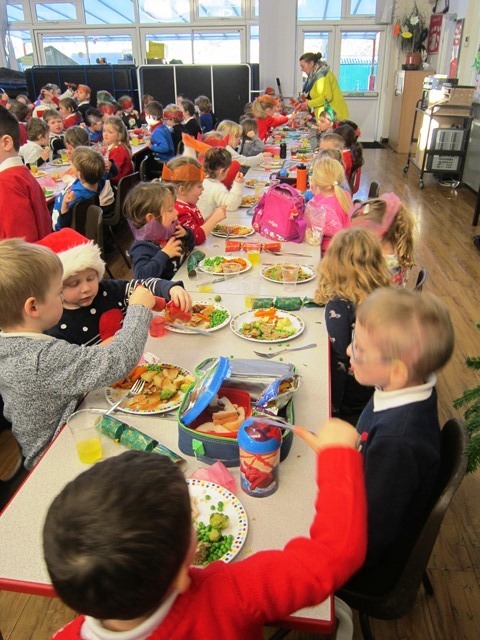 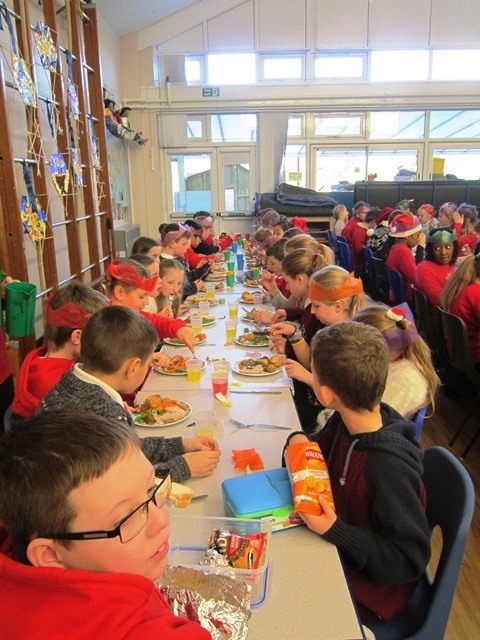 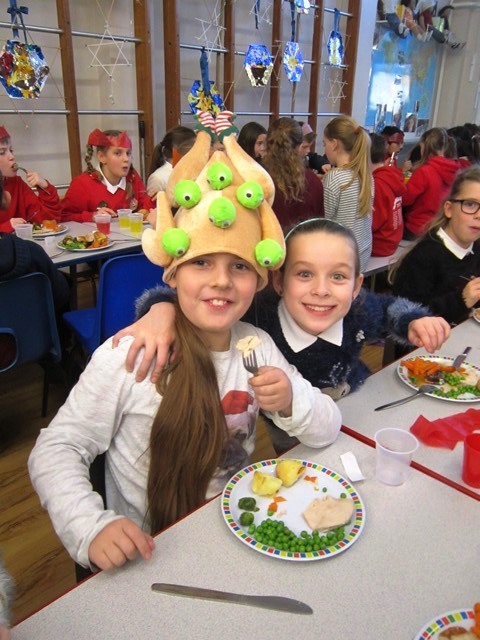 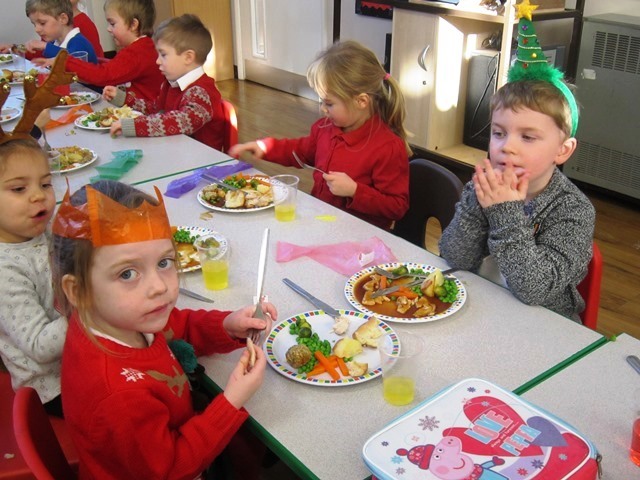 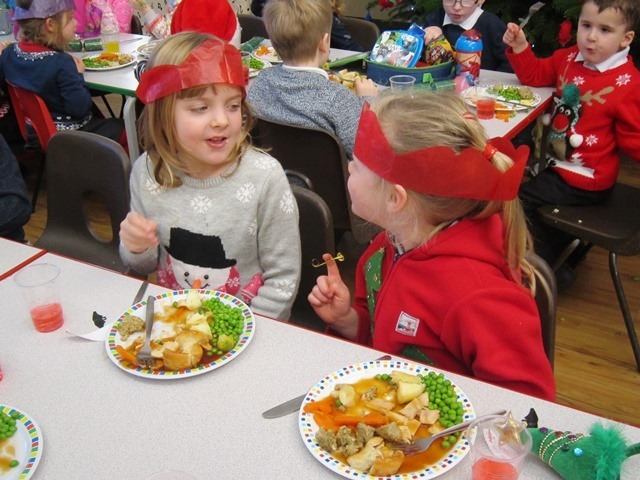 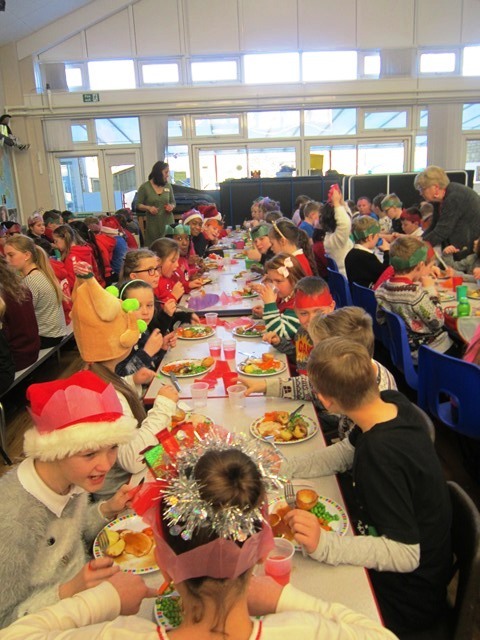 On Monday 18th December we all sat down to a yummy, traditional Christmas Dinner. 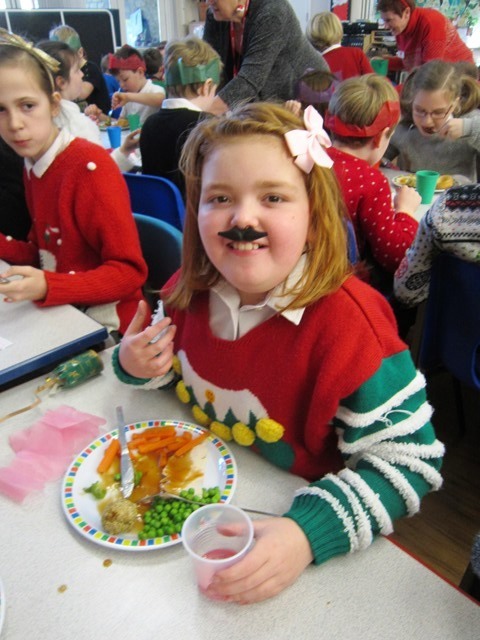 It was extremely tasty so thank you very much Mrs West and Tiny. 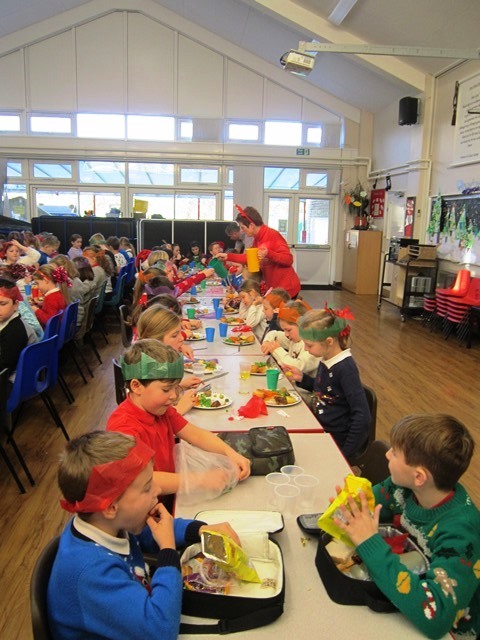 We even got to pull crackers and listen to Christmas songs.